Suction Box Design provides shockless impeller entry and optimized NPSHR. Dynamically Balanced Impeller limits vibration and ensures smooth operation over wide flow range. A smooth, investment cast surface provides excellent hydraulic efficiency. 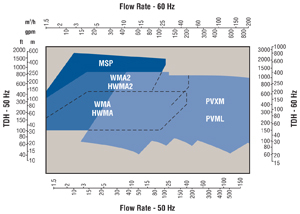 Performance Tuning capabilities include field hydraulic customization.